Learn how to revamp a jewelry box thrift store find using Mod Podge and Envirotex Lite. It's really easy and the results are pretty! I recently made a Goodwill run and scored a load of goodies for $15. One of the surfaces I got was perfect to use with Mod Podge and my absolute favorite resin Envirotex Lite: a mini-jewelry box for $2. I have a larger jewelry box, but I've been needing a smaller one to keep out on the counter for all of the jewelry I use regularly and need easy access to. This upcycled jewelry box was a relatively easy project and I had everything on hand. 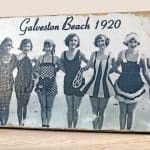 Here's how I made my new favorite decoupage piece. Here she is – ready to be re-done. What a pretty rose! I think I'll chip it off. I removed all of the hardware and traced the box on the backside of the paper with a pencil. I removed the glass from the lid of the box and traced it too. 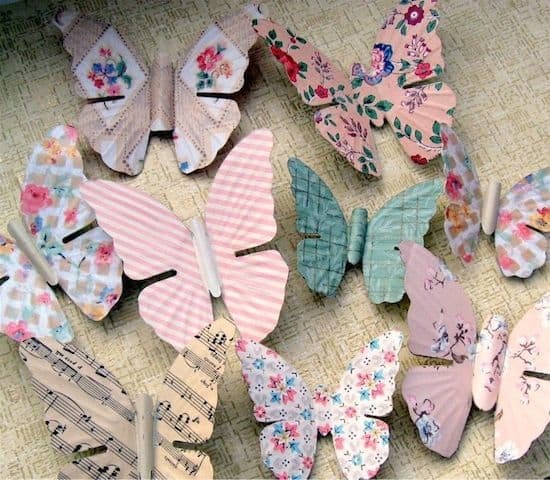 Cut all the papers out with your craft knife or scissors and set aside. Sand the jewelry box, wipe away the dust and then paint the box and lid with Sequin Black. You don't have to paint the entire thing, just the outer edges, since the paper is thick. Give several coats and set aside to dry. 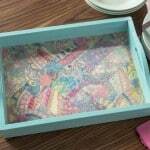 While your jewelry box is drying, Mod Podge the paper to the glass insert. Glue the insert into the lid – allow to dry (then you can paint the back of the lid with Sequin Black and allow to dry). 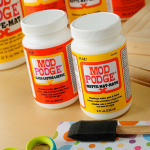 Coat your jewelry box with Mod Podge and smooth the paper down, working one side at a time. 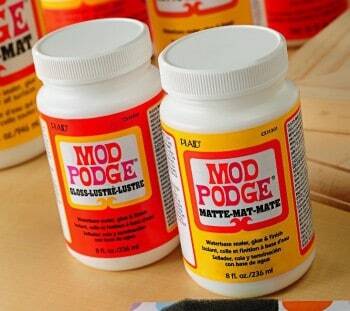 Give the entire jewelry box a coat of Mod Podge and allow to dry. Give one more coat and allow to dry. Time to Envirotex my project! Notice there is something coming out the sides of my lid . . . that is tape. The only tape I could find, because someone has poached my painter's tape! I highly recommend painter's tape because the tape I had to use messed up the back of my lid and I had to re-paint. Why did I use the tape? To keep the Envirotex from seeping out from my lid. Envirotex is a product that you MUST read the instructions before usage. The mixing cups are essential too, because it's going to ruin whatever you put it in. You really should wear gloves. But I didn't wear gloves. Rebel. Basically you add the same amount of the white cap stuff and the black cap stuff. You have to stir thoroughly. I'm doing this on my coffee table, but that's because I don't care if I mess it up. You need to use this product on a surface that is safe to make a mess on. Mix, mix, mix . . . then pour. It's going to be cloudy at first and there will be bubbles. Those will rise to the top and you can exhale on the surface (pull your hair back) to make all of them pop. It's kind of fun! Let it dry for 24 hours. Replace all hardware. Add an embellishment on top of the resin if you choose. What do you think? I'm so pleased with the finished result. I'm so proud of myself too, because my mess was minimal. What I love most about my new jewelry box is that there is a cool 3-D effect on the lid, with the paper in the background and the embellishment on top. Yay! oooh that’s so cute!!! I’m putting that on my list for my next Goodwill runs….watch out for jewelry boxes! Amy, your jewelry box turned out so nicely. I like that you added an embellishment to the top. I’m in the market for a new jewelry box…will keep this project in mind. 🙂 Thanks for showcasing all of the projects today! How cool is that….I love this idea….your embellishments look like its floating in air….love that look….what a great product….something I gotta get….thank you for sharing this with us….I love it…. I have GOT to get some of this! I’m sooo jealous of you for getting to try out all the new stuff! Goodwill is my absolute favorite place to go to get stuff to “upcycle”. It’s very cheap and you’re supporting a good cause… and getting cool stuff! You wouldn’t believe how many craft supplies I’ve gotten there! 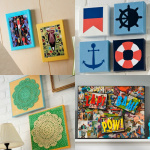 Yarn, stencils, all sorts of wooden boxes, white enamel drawer pulls, vases, new rolls of wallpaper (which comes in really handy in place of scrapbook paper, and lots more stuff to use Mod Podge with! The 3-D effect with the embellishment is really cool. I like the idea of having a small jewelry box for your jewelry you wear regularly. Such a great idea!! I’m looking to make a new jewelry box! Completely awesome and then some! Love the colours and the stylin’ silhouette. Goodwill is the best. I used to work there (had WAY too much stuff but I miss it). Looks terrific. Thanks for the how-to! I saw this over at Made by you Monday Linky Party. I love it!! My hubba hubba made my craft table for me and did the top with a resin. It is sooooooo durable, I love. I follow you on FB too- love all the inspiration. That looks great! I keep seeing so many great resin projects – I may have to get over my fear of the stuff! Create idea for using Envirotex. Your silhouette embellishment looks very similar to the felt silhouettes I created in my Regency Silhouette Christmas Ornaments tutorial. Great minds think alike, huh? I saw this on Roadkill Rescue and had to click over to see for myself! This is such a fabulous makeover!! Well done! !